This game is a very similar experience to Temple Run, but better in many ways. 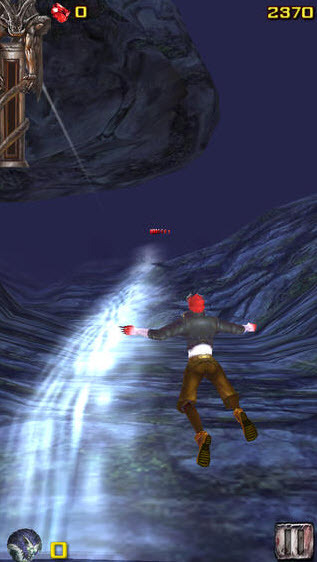 Vampire Runner has a range of levels that you can advance through by defeating a werewolf. Werewolves will drop a treasure chest which will reward you with power-ups and other goodies. 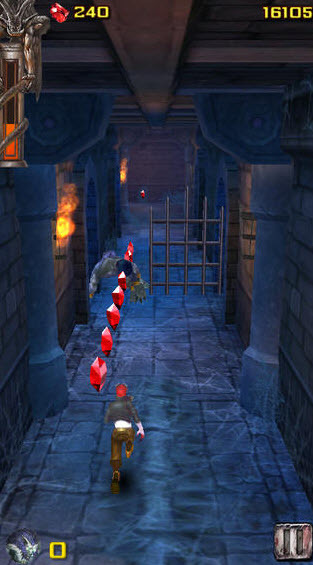 You can still play endlessly like in Temple Run, but Vampire Runner lets you advance through a linear level system as well, which is something I really appreciate. Throughout levels you have to tilt your device to collect bloodstones, and tap left or right to turn throughout a winding path. Swiping down and up before running through obstacles will make your character jump up or slide under those obstacles. If you hit an obstacle twice, then the werewolves chasing you will catch up and the game will end. Bloodstones can be used to purchase upgrades and defense shields that will serve as advantages in the game. You can also use gems to continue games that you would have lost otherwise. 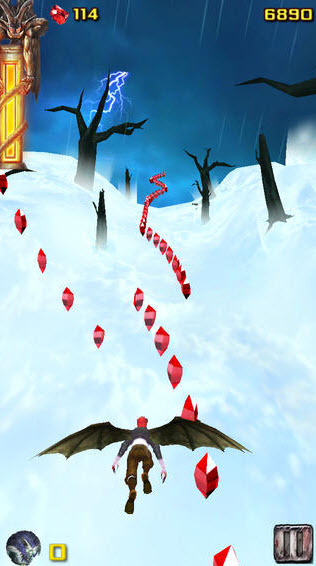 Bloodstones and gems are limited, and earned by playing Vampire Runner. However, if you run out of them and want more, you can always purchase them through in-app purchases. You can challenge friends to play Vampire Runner and see how well they do, and if they out-do you. Another great thing about this game is the fact that it has a map system with multiple levels. If you are a fan of Temple Run, or even if you’re new to endless running games, then you will probably enjoy Vampire Runner. I don’t know who I would’t recommend this game to. It’s perfect for any age and a great way to pass the time.